Former Mesa Mayor, Wayne C. Pomeroy passed away on April 11, 2019 in Mesa, AZ. Wayne was the third child born to Francis Kimball Pomeroy and Eunice Gaylord Shurtleff on March 13, 1923, in Mesa. He was married to the love of his life Cecil Henrie at the Williams Air Force Base Chapel on December 21, 1944. They were married for 73 years. They were later sealed in the Mesa Arizona Temple in March of 1994. Wayne is preceded in death by his wife Cecil, his son-in-law Harvey Wood and his grandson Clint Fluhr. Wayne and Cecil have four daughters, Cassandra Wood, Wendy (Phil) Hildebrand, Michel (Chris) Fluhr and Lisa (Brett) Bargery, 11 grandchildren and 17 great-grandchildren. Wayne graduated from Mesa High School in 1941 and then went on to serve his country during WWII as a tail gunner in a B-24 bomber. He was wounded in action on June 16, 1944 while on his eleventh mission. He earned the Purple Heart and the Silver Star, the nations third highest award for valor. 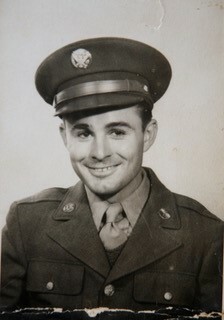 After the war ended, Wayne attended BYU, in Provo, Utah graduating in 1949 then went on to pursue his Master’s Degree at New York University where he graduated in 1950. After graduation, Wayne and Cecil returned to Mesa where he began his career in the retail clothing business, establishing Pomeroy’s Mens Store in 1951, still in operation today after 68 years. Wayne loved the City of Mesa and served in many leadership positions, including the Mesa City Council, and then as the 31st Mayor from 1976-80, during our Nation’s Bi-Centennial Year. During his tenure as Mayor, Mesa was named the All-American City. Wayne was Mesa’s Man of the Year in 1986. He was a member of Mesa Hohokams, Mesa Southside Sheriff’s Posse and served on many boards including United Bank, and Mesa Downtown Redevelopment. He served as the first president of the Mesa Downtown Merchants Association and was past president of the Mesa Public Safety Foundation. A viewing will be held on Wednesday, April 17 from 6-8 PM at Bunker’s Garden Chapel, 33 N. Centennial Way, Mesa, AZ. Wayne’s funeral will be held Thursday, April 18, 2019 at 11 AM, with a viewing at 10 AM and at the Church of Jesus Christ of Latter-day Saints, Mesa 5th Ward, 1718 N. Date, Mesa AZ. In lieu of flowers, donations can be made to Hospice of the Valley, 1510 E Flower St, Phoenix, 85014; Save the Family Foundation, 125 E University Dr, Mesa 85201; A New Leaf, 868 E University Drive, Mesa 85203. Lisa, Very sorry to learn of the passing of your father.